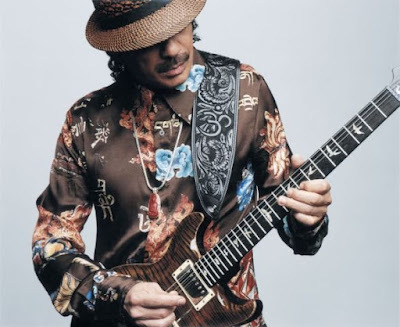 Carlos Santana has announced dates for an early 2019 residency in Las Vegas, NV. Billed as “An Intimate Evening with Santana: Greatest Hits Live.”, the guitarist will perform 8 shows at the House Of Blues at the Mandalay Bay Resort and Casino starting January 23, 2019. The new dates mark Santana’s seventh year at the intimate venue. A portion of all tickets sold will be donated to the guitarist’s Milagro Foundation, a charity that supports underrepresented and vulnerable children and youth in the areas of arts, education and health; in addition, a contribution will also be made to the House Of Blues Music Forward Foundation, which accelerates real-life skills for youth using music as the bridge to success through music industry mentorships and access to music education. Tickets for the 2019 performances will go on sale Friday, August 10 at 10 a.m. The newly-announced shows will follow Santana’s fall 2018 series at the Las Vegas venue, which resumes September 12. The guitarist is currently on the road playing live concert dates across Europe.